Inspiring article written by international group, Critical Resistance, as well as a call for action from the IWW. The prisoners, alongside many loved ones and supporters on the outside, are pointing to the harsh conditions at Holman Prison. While Holman is notably crowded, holds the only death row in Alabama, has a high number of prisoners in solitary confinement, and cages many prisoners dealing with medical, physical, and psychological abuses, Holman should not be isolated as an extreme example. It is in fact emblematic of the racism and violence inherent in the system of imprisonment. This uprising is part of a long history of resistance to imprisonment from people inside, including the 1971 Attica Rebellion and the 2011-2013 California and Guantanamo Bay prisoner hunger strikes. Just as the abolition of the prison industrial complex (PIC) follows in the tradition of the abolition of slavery, these acts of resistance are part of a history that includes Nat Turner’s Rebellion in 1831 and other resistance to slavery like work slowdowns, tool breaking, covert meetings and escapes to free zones. We support the demands of the Holman prisoners and hold strong to our insistence that demands around poor prison conditions and crowding not be used as excuses to cage more people or build more new prisons for abolitionists to tear down later. Unfortunately, as the Holman uprising raged on, we saw an Alabama Senate Committee preliminarily approve $800 million to construct four new prisons. Abolitionists of the PIC do not believe that this system can be fixed through reform but seek to rid society of it entirely. We must organize against states, counties and the federal government building more prisons and jails – that are temporarily less crowded before they are filled again – as a supposed solution to poor conditions. We must confront the inherently violent and oppressive condition of imprisonment and fight for alternatives to caging people altogether. Critical Resistance can be reached at 1904 Franklin St., Suite 504, Oakland, CA 94612, 510-444-0484 or crnational@criticalresistance.org. During the March 11 rebellion, prisoners set a guard station on fire. This week, prison rebels at Holman Correctional Facility in Atmore, Alabama, staged two riots in three days – battling guards, building barricades, stabbing the warden, taking over sections of the prison and setting a guard station on fire. These actions come as no surprise to those who have been paying attention to the crumbling prison system in Alabama and the increasing level of radicalization of the prison population there. The uprising at Holman – and the conditions of Alabama prisons in general – provide a unique situation in which anarchist solidarity may prove strategic. Historically speaking, successful prison uprisings have often been the result of a degrading prison system – incompetence, understaffing, weak administration – in combination with a high level of prisoner unity and the development of a strong political subculture within the prison that supports and encourages acts of resistance. These conditions shift the balance of power between prisoners and their captors and allow prisoners more latitude to take bold action. Prison rebels in Alabama report that guards often refuse to enter the cell blocks for months at a time out of fear of attacks. The conditions for rebellion are ripe in the Alabama prison system. The connections that Alabama prison rebels and anarchists outside of prisons have cultivated over years have created a situation in which expressions of solidarity from anarchists may have an impact. There is a great possibility that news of solidarity actions will reach prisoners there and that those actions will make sense to these rebels. The uprising at Holman – and the conditions of Alabama prisons in general – provide a unique situation in which anarchist solidarity may prove strategic. 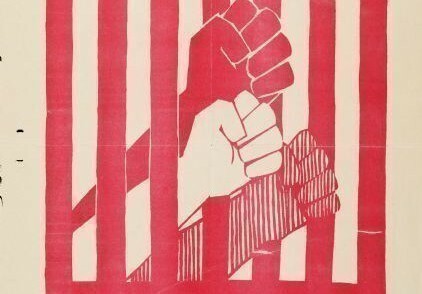 Another way in which anarchist solidarity may prove uniquely valuable in this and other situations of prison rebellion is in our capacity to relate to these uprisings outside the framework of reform that the media, the state and the left will inevitably push them toward. We are already hearing the rhetoric of those outside Holman turning immediately toward reform, appeals to legitimacy in hopes of reaching journalists and liberals, and framing the riots as a “last resort” after non-violent methods failed. In the spirit of diversity of tactics, we’ve compiled a list of some ways to act in solidarity with prison rebels in Alabama. The intention of this list is to find ways to act in solidarity with the many, often contradictory desires of the many different rebels involved in the uprising. In the spirit of diversity of tactics, we’ve compiled a list of some ways to act in solidarity with prison rebels in Alabama. We inmates at Holman Prison ask for immediate federal assistance. We ask that the Alabama government release all inmates who have spent excessive time in Holman Prison – due to the conditions of the prison and the overcrowding of these prisons in Alabama. We ask that the 446 laws [Habitual Felony Offender laws] that Alabama holds as of 1975 be abolished. We ask that Parole Board release all inmates who fit the criteria to be back in society with their families. We ask that these prisons in Alabama implement proper classes that will prepare inmates to be released back into society with 21st century information that will prepare inmates to open and own their own businesses instead of making them having to beg for a job. We also ask for monetary damages for mental pain and physical abuse that inmates have already suffered. D. Visit https://itsgoingdown.org/call-actions-solidarity-alabama-prison-rebels/ for more creative ways to get involved! 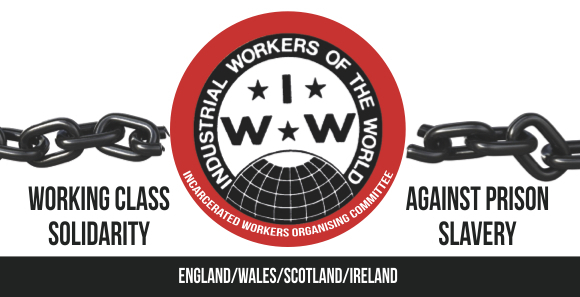 Contact IWW Incarcerated Workers Organizing Committee at iwoc@riseup.net. This story is the work of It’s Going Down and first appeared at https://itsgoingdown.org/call-actions-solidarity-alabama-prison-rebels/.